Changing your driving habits and lightening your vehicle’s load are surefire ways to increase efficiency. A more efficient automobile means better fuel mileage– another way to achieve this is by completing some very basic maintenance. If you want to save more at the pump, follow Park Muffler’s tips below to keep your ride running in peak condition. Air, fuel, oil– all the essential elements that feed an engine need to be cleaned before they’re introduced into the fine-tuned system. In order to do so, they are pumped through filters that remove debris and impurities. These filters become clogged as they are used, restricting the operation and using more fuel. Replace air, fuel and oil filters as necessary to increase your vehicle’s overall mileage. The easiest way to increase or maintain fuel efficiency is to schedule regular maintenance with a reliable mechanic. Keep a consistent schedule of oil changes, fluid checks and other routine inspections to ensure your vehicle isn’t being held back by a problem that could be simple to fix. While maintenance and upkeep costs money, it is an investment in reliability and better mileage– which will save money in the long run! Checking tire pressure is a popular do-it-yourself method of keeping your vehicle’s mileage up to standard. 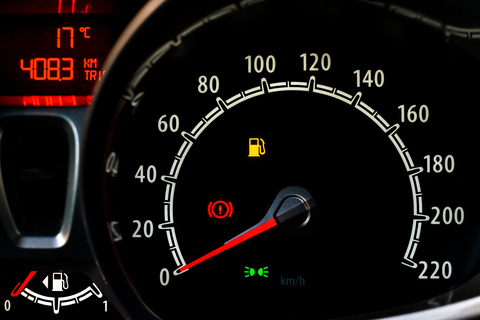 Pressure gauges are affordable and simple to use, so you can easily make a habit of monitoring your tires’ condition. If one or more tires is underinflated, your automobile must work harder and use more fuel. Avoid this by keeping your tires up to the psi/kPa recommended by the manufacturer. Often overlooked as an accessory, the electrical system of your vehicle is essential to everyday operation and peak fuel efficiency. Older batteries, corroded cables and outdated programming can all reduce your mileage. It is prudent to have the electrical system checked semi-regularly and you may also consider upgrading the control chip– many programs are available to optimize an automobile’s fuel efficiency. The four tips above are a good introduction to mileage-saving maintenance, but it doesn’t end there. Contact or visit Park Muffler today for a comprehensive consultation and our professional recommendation!